The gasworld Digital Editions are intended to provide a digital representation of the printed gasworld magazine. They are not designed to be used as a substitute for the printed magazine or provide a digital method for accessing our content. 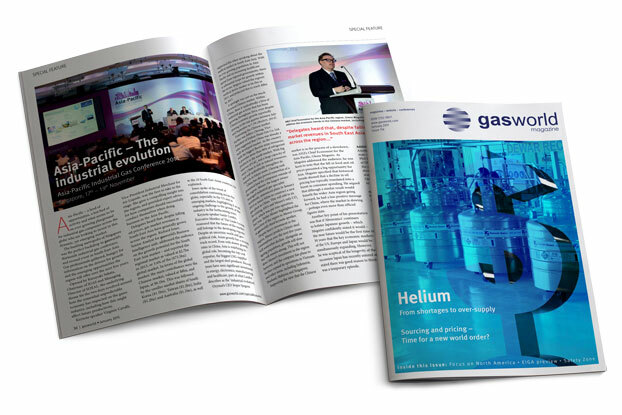 All gasworld articles are available through our website, which is gasworld's primary means of delivering digital content in an easily accessible format which can be viewed online, saved to read offline, and can also be printed. We also offer a range of RSS feeds which can be subscribed to in order to receive instant updates in a summary format. Further still, we have created an overview page dedicated to the latest issue of gasworld, highlighting all the content from the current issue. This page can be accessed at http://www.gasworld.com/overview. Alternatively, you can use our online publication index to view content related to specific issues online in html format for easy searching, reading and printing. You can access the publication index here. Clean energy is driving trends in the packaged gas business. Compressed gases rely on cylinders for their distribution and as the world goes green, so too is cylinder technology – especially in hydrogen applications. The pendulum of helium supply has swung again as the sun begins to set on the commercial use of the BLM- operated Federal Helium Reserve, pictured on our cover this month. What impact will this have on the market? How will helium recovery markets be affected? The LNG business – is it an industrial gas ‘play’? This November gasworld explores all things distributive LNG – from understanding the opportunity in this business to safety considerations and the need for more LNG infrastructure. Analysis and control are fundamental to the industrial and specialty gases business, ensuring gases are delivered and used both safely and optimally, and the subject of our September issue. If your company provides these fundamental products, don’t miss this opportunity to get involved. A supplement dedicated to trends and technologies in the specialty gases, featuring insight into specialty gas applications and investment strategies, technologies in MAP testing and gas analysis, new certification in bulk medical gas supply systems, and much more besides. 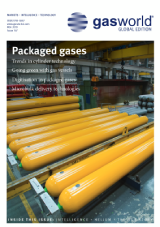 Bulk storage and delivery of gases are at the heart of the supply chain and the focus of gasworld’s August issue – from transport safety to telemetry systems and cryogenic storage technologies in-between. Oxygen is the theme of gasworld’s July global edition, exploring the applications and distribution of one of the most fundamental of gases. Oxygen cylinder technologies and considerations, and even the story of arguably the highest oxygen plant in the world, at Mount Everest, are in focus this July.